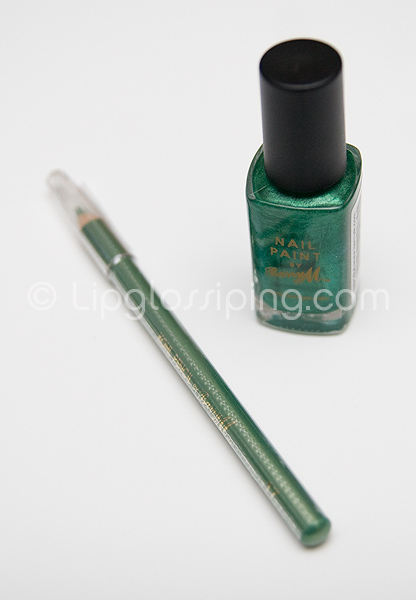 Barry M Nail Paint and Eye Pencil in Festive Green! Giveaway closes at 23:59GMT on 12th December. Comments made after this time will not be entered. Enter me, please LOVE the green! Oooh, that green is gorgeous. Thanks for the giveaway! I’m green with envy. This duo looks so lovely. Enter me please! I love emerald green, for a while I was searching for that colour for my eyes, and I found it at Yaby! Mmmm green! Enter me please Thank you! Ooh please add me!! That’s so lovely looking. I like green a lot! Fab colour – count me in please! Very festive indeed! Aha, enter me, please. Enter me please, such a lovely colour. enter me please, that looks like a really nice eyeliner colour!